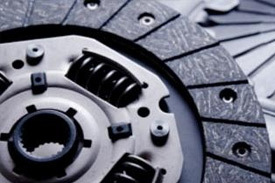 Clutch Replacement & Repair | Metro Transmission Inc.
As one of North San Diego County’s premier transmission repair shops for over 30 years, it’s safe to say we are experienced in replacing and repairing a wide range of clutches. At Metro Transmission Inc. our ASE certified mechanics are experienced and trained in all areas of clutch replacement and clutch repair to your vehicle. Whether it’s a two wheel drive or four wheel drive vehicle, we’ve got the expertise you need. Like most moving parts on your vehicle, over time the clutch will wear down and need to be replaced. Before we determine if you clutch needs to be replaced, we will do a full visual inspection and test drive. When our technicians decide it is time for a clutch replacement service, we go through each of the options available for our client’s vehicle. With all of our replacement clutches we only use new parts, and our installations come with a 1 year/12,000 mile warranty. With each new clutch we install, we replace the following parts. It is not uncommon for a mechanic to not replace each element of the clutch, however that can greatly shorten the life of your new clutch. If all of the components are not replaced together it is likely you will experience slipping, and other preventable issues.